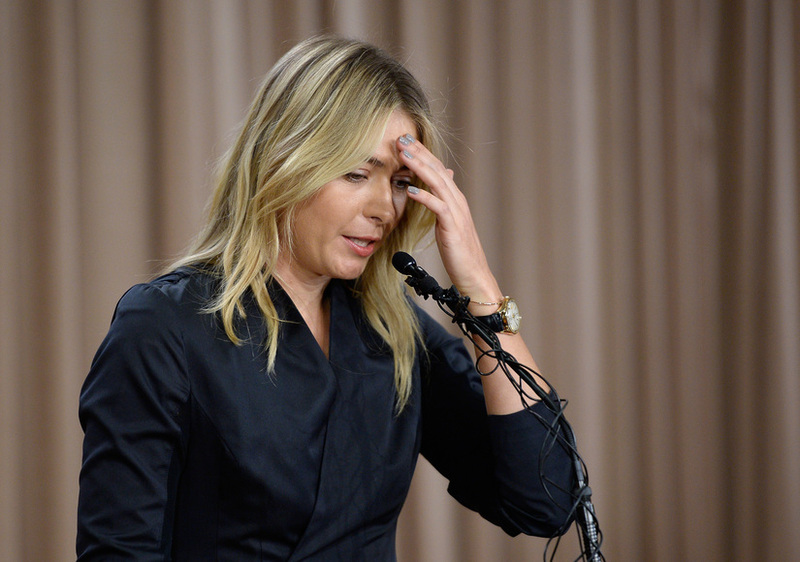 Maria Sharapova held a press conference on Monday to reveal that she failed a doping test at January’s Australian Open. "I did fail the test and I take full responsibility for it," she said. Sharapova explained that she has been taking a prescription called Mildronate for the past 10 years, and didn’t realize it was the same as a drug called Meldonium. Meldonium is used for endurance and rehabilitation, and was banned from tennis for the first time this year. Maria continued, "I received an email on 22 December from WADA [World Anti-Doping Agency] about the changes happening to the banned list and you can see prohibited items, and I didn't click on that link." She later called the ordeal a “huge mistake." The 28-year-old went on, "I have let my fans down, and let the sport down that I have been playing since the age of four that I love so deeply. I know that with this I face consequences and I don't want to end my career this way. I really hope to be given another chance to play this game." It is unknown if Sharapova will be reprimanded in some way. At the end of the press conference, she quipped, "I know many of you thought that I would be retiring today but if I was ever going to announce my retirement it would not be in a downtown Los Angeles hotel with this fairly ugly carpet." Maria won Wimbledon at 17 and went on to become a five-time Grand Slam champion.